← Iran’s only political interest in this side of the world? 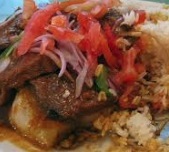 This entry was posted in Bolivia, Environment, Tourism and tagged bolivian food, locoto. Bookmark the permalink. I’ll share with you as it becomes available, I try to capture all relevant stories that appear in Spanish Bolivian newspapers, thank you!